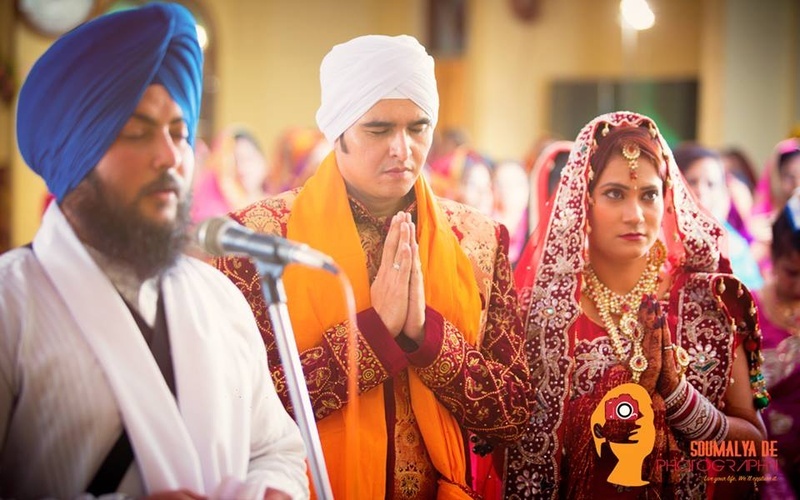 Rajesh and Veena tied the knot in a beautiful wedding ceremony that was organized in the peaceful atmosphere of a Gurudwara. 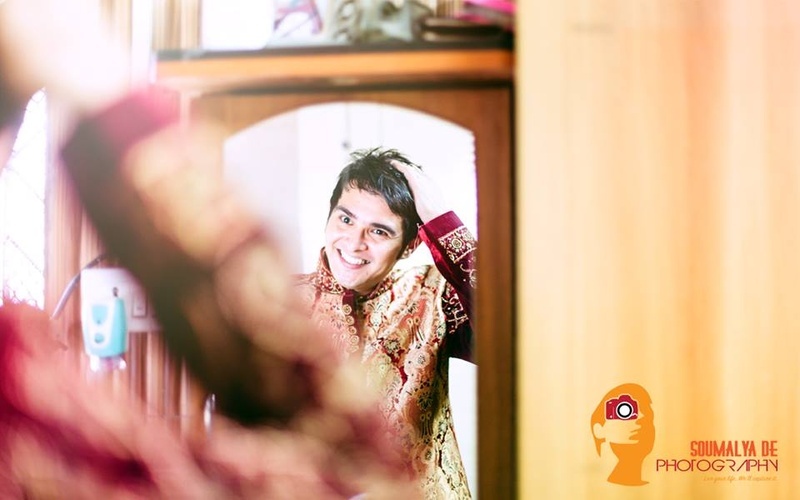 Rajesh wore a heavily embroidered sherwani that had gold threadwork and impressive patterns all over the outfit. The maroon velvet accents on the sleeves gave a chic feel to his traditional attire. The sherwani also had a maroon pocket square. 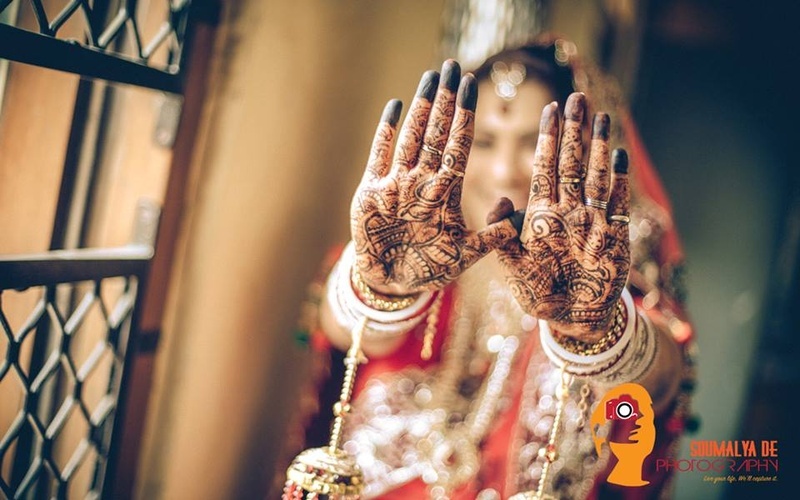 Veena's mehendi was dark in colour, designed beautifully across her palm with bridal jewellery that matched her entire wedding outfit. 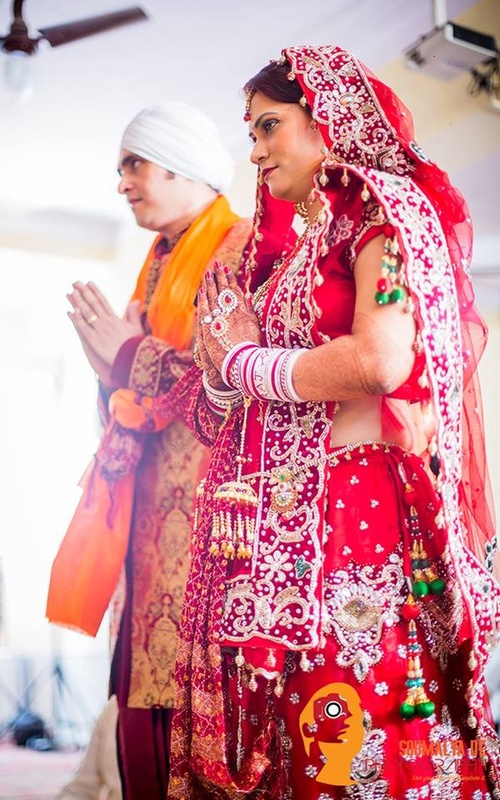 She wore a royal choker and a regal rani haar embedded with stone work and looked absolutely ravishing. 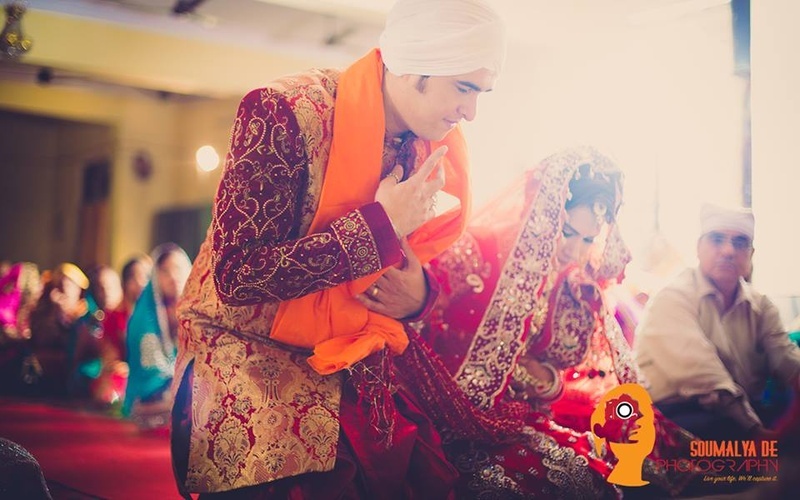 They tied the knot in the presence of their family members and under the blessings of Wahe Guru. 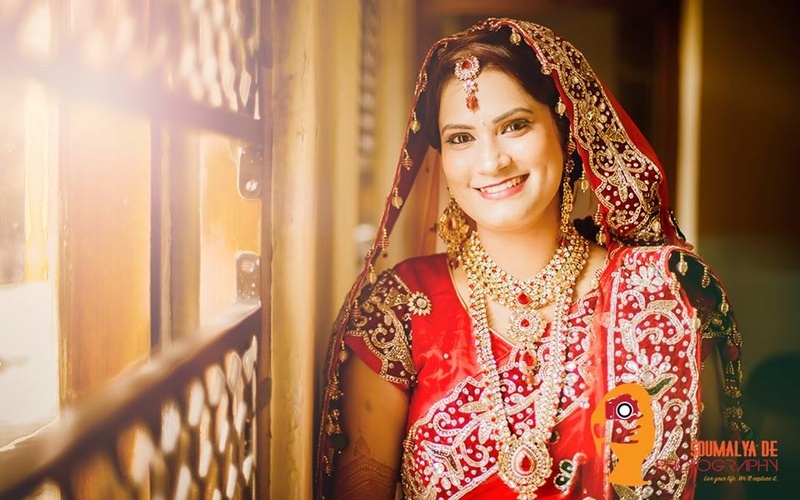 Soumalya De Photography displayed how great he can get with indoor wedding shots. 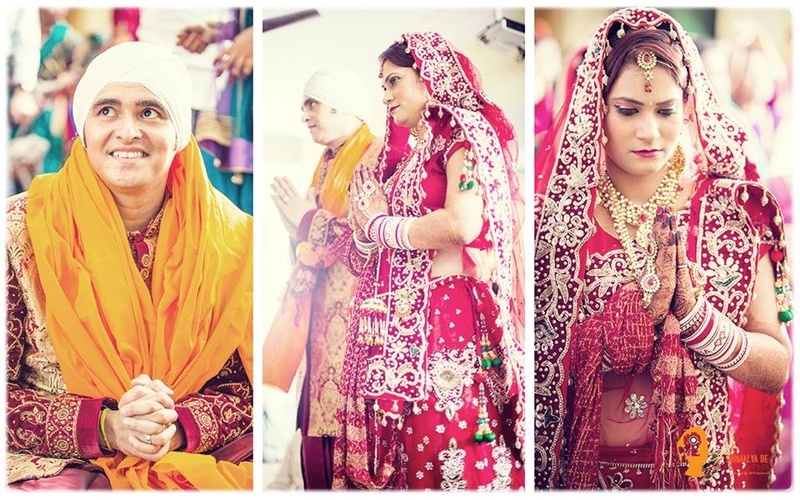 Not only this, he captured every moment of happiness and anticipation from the faces of this special couple. Let’s browse through a few of their wedding pictures right here!